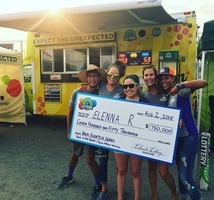 Ever wonder what it feels like to win a Colorado Lottery second-chance? It's a moment these winners will never forget. Our Prize Surprise crew has been busy -- finding people at home, at work, in our claims offices, and even at the county fair! Watch as we change the lives of our recent second-chance winners.